First of all, I have NOT SEEN this movie. Yes, it is true. i am recommending a movie for you to buy your geeky loved ones DESPITE the fact that I have not seen the film myself. But I have my reasons for that. Both my partner in crime Jeff Bond (who is an Ape franchise nut) and my son Mikey (who at 8 knows more about geek properties than most adults) have whole heartily endorsed this movie. They both LOVED it... calling it one of their favorite movies of the summer. Fellow CCDers Joe Fletch and Tommy Lombardozzi also liked the flick, so I gotta go with the consensus. 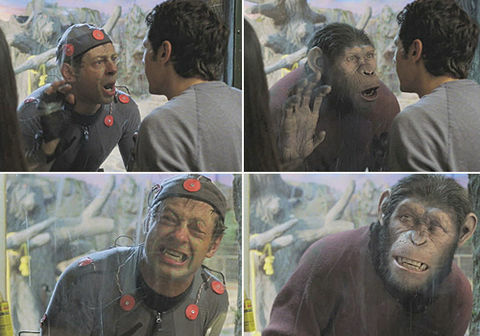 Secondly, they are pushing for Andy Serkis to be nominated by the Academy for a best supporting actor oscar. 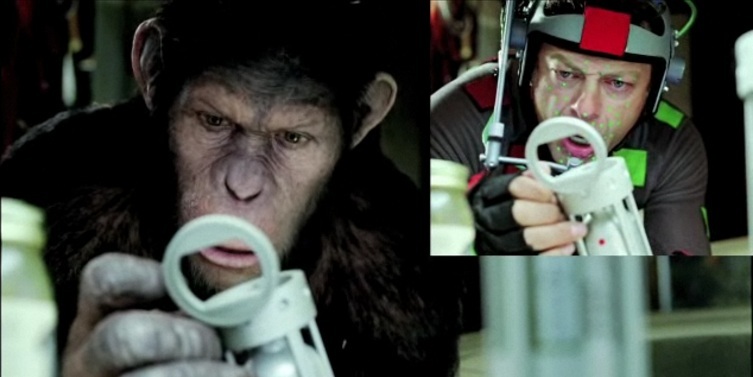 Now this normally wouldn't be such a big deal, but Serkis NEVER APPEARS ON SCREEN IN THE MOVIE AS HIMSELF. 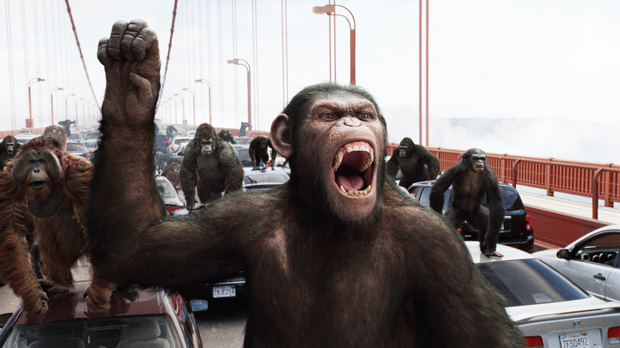 He is the actor that was motion captured to bring the head ape Caesar to life... and boy has he! Serkis also did this for Gollum in the Lord of the Rings, and he became one of the most memorable parts of that trilogy. With 10 years of film advancement since then, Serkis and the special effects gang are sure to bring it big time. 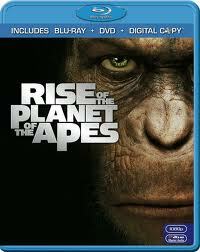 The Blu-Ray & DVD of Rise of the Planet of the Apes comes out Tuesday December 13th. Check a few different stores for the best prices, but Amazon and Best Buy usually have the best deals. Buy this Blu ray for the film geek in your life!!! Picking up that one tomorrow for ME! This was an excellent movie. I truly enjoyed it, and you will too!